This paper re-images neighborhoods to improve the quality of life and create a future that’s richer and more sustainable. Smart Neighborhoods are bigger than Smart Homes and smaller than Smart Cities. They are run by neighborhood organizations, newspapers and bloggers or shopping malls. It uses the Internet of Things technology of Smart Cities. Localized. The “free” 3.5 GHz band, called the Citizens Broadband Radio Service, is the key enabler of this vision. It provides cheap or free broadband to your phone (like WiFi) with much better range (like cellular). The Ruckus Q910, a 3.5 GHz outdoor LTE AP, covers the area within a 660-foot city block. Other CBRS basestations have ranges similar to cellular service (1-2 miles). They support about 50 simultaneous users. MuLTEfire release 1.1 adds Narrowband data channels in the 900 Mhz segment with an effective range of 1-10 miles for tracking pets, bikes or providing real-time community situation reports. Track runners in a race. The free shared spectrum provides both mobile broadband and community IoT. The shared 3.5 GHz band dramatically lowers the cost of broadband wireless. Neighborhoods can provide DIY coverage, inexpensively. It is becoming available in 2019, although you’ll need to buy a new device to take advantage of it. Hayden Island residents could get $20/month, 20 Mbps LTE service everywhere using Unlicensed LTE in the 3.5 GHz CBRS band using the MuLTEfire standard. This kind of “5G” is supported some smartphones TODAY. You don’t need to be a cellular carrier to provide a “private” LTE network using “free” spectrum. Anyone can. No licensed required. It’s like WiFi — with better range. CBRS has lots of bandwidth and most of it is free. Cellular companies plan to lock this spectrum down, and make it theirs (like they have with WiFi). But MuLTEfire doesn’t require you to be tied to expensive, old time cellular service. One hotspot can be shared by ALL cellular providers…as well as broadband service provided by marinas, hotels, malls…or communities like Hayden Island. Gigabit wireless networks, using spectrum on the 3.5 GHz band, are not just possible. They’re available. Broadband or Narrowband. One radio can be shared by competing service providers. A single CBRS small cell can support all four major operators by a “neutral” host. One inexpensive “small cell” can be shared, lowering costs. Consumers get “real” LTE service on their phones. Faster, cheaper. The shared 3.5 GHz band was developed because cellular operators and cable operators are taking over the WiFi band, pushing out “free” hotspots. But four different sets of hotspots from four different carriers would be necessary to cover the inside of a big mall, hotel, airport, or stadium. With CBRS, one radio can be shared by different carriers. Individuals and cellular operators can lower costs by sharing a single hotspot, using different time-slices. It’s managed by software in the “cloud” run by a neutral host. The FCC expects CBRS service will be available in 2019 (pdf). Phones supporting LTE on the unlicensed 3.5 GHz band will be available in early 2019. Samsung Galaxy S9 and Essential handsets currently support the 3.5 GHz band as do Google’s Pixel 3 and Motorola Z3 phones. Every NFL Stadium in the United States will soon have Citizen’s Broadband Radio Service (CBRS). Boingo deployed an LTE network using CBRS at Dallas Love Field in Texas last year. Different carriers use it. The latest Apple, Samsung and Google phones support Band 48, which is required to operate in the 3.5 GHz CBRS spectrum. Any OnGo certified product will work in the 3.5 GHz band. That includes phones, especially those with a Snapdragon 845 and above. Phones supporting “5G” are also likely to support the unlicensed 3.5 GHz band. It enables LTE for cable operators — without a license. Ericsson’s 2208 CBRS radio is ready to go. Federated Wireless recently wrapped up a $42 million “B” round that included participation of Charter Communications and Arris, which is acquiring Ruckus Wireless. The Ruckus R730 supports 3.5 GHz CBRS as well as IoT and 802.11ax WiFi. The Ruckus OpenG technology combines shared spectrum on 3.5 GHz and neutral host LTE capable small cells. The Community LTE Project is a LTE cellular networking approach that is decentralized, democratic, and community-based. The newest smartphones have 3.5 GHz service, but it’s like WiFi. ALL $100 smartphones now COME WITH WiFi built-in. Same deal. In a few years ALL phones will have 3.5 GHz service. Cellular companies will use the 3.5 GHz band to sell “5G” this year. But their model is to NOT to share a small cell node with their competitors. They’ll charge more for “5G”…even though it’s not…and price it as high as they can. Cellular simply doesn’t provide what neighborhoods NEED. Neighborhoods need appropriate technology. Track bikes or pets for a buck a month. Narrow-band IoT in the the 900 Mhz band can deliver it. Cellular carriers use old-timey LTE-M which uses more bandwidth, bigger batteries and is expensive. Community run wireless networks, by contrast, delivers long range IoT (with batteries that last a year) — along with inexpensive 100 Mbps wireless. Let’s use it. You don’t need permission from cellular operators. 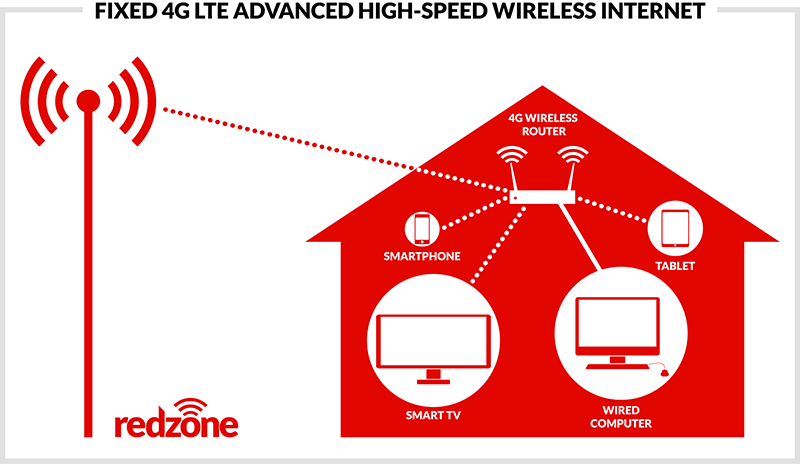 The new 3.5 GHz band is like Wi-Fi, but with cellular range. The 900 MHz band provides slower, but longer range device connectivity. The Things Network uses LoRa devices in the unlicensed 900 Mhz band. The LoRa Alliance provides LoRa (Long Range), low-cost, low data rate connectivity over a 5-10 mile range. Track boats, bikes or pets. No cellular fees. Together, they’ll start a revolution. Cheaper. Faster. Community-based. You don’t need permission from the cellular Gods. MuLTEfire, using “free” spectrum at 3.5 GHz and 900 MHz, can deliver both broadband wireless and IoT. From the school rooftop or a park. A Smart Neighborhood, in this vision, would allow community members to become the owner/operator of their own broadband network. Each neighborhood can opt-in or opt-out on providing a variety of community-based services using both the 3.5 GHz band (for broadband wireless) and the 900 MHz band (for Internet of Things). Revenues can be returned to the neighborhood not distant corporations. Neighborhood Public Radio. Smart Cities use sensors to manage assets efficiently. Research hubs include MIT’s Senseable City Lab, Sidewalk Labs, designing a smart neighborhood in Toronto, UrbanSense, out of Oak Ridge, and Chicago’s Array of Things, a collaboration between the city, the University of Chicago, and Argonne National Lab. Curbed covers the movement. StreetLight Data tracks the location of people through weather apps, dating apps, and around 300 other apps on 70 million devices in North America. It applies its algorithms to this data to figure out things like where people travel to and from, at what times, which can be useful for city authorities, engineers, and urban planners. But Smart Neighborhoods can enable each community to take charge, share tools, track pets or bikes, communicate, improve neighborhood health and welfare as well. The City and County of San Francisco is testing an LTE system in the CBRS band for wireless cameras, IoT and SCADA systems on Pier 45. Cosmos will bring an advanced wireless testbed to New York City. Currently, wireless ISPs often use Ubiquiti’s AirMax, Starry’s 802.11ax, Mimosa’s TDMA or Siklu’s 60 GHz backhaul. But those solutions don’t provide LTE mobile broadband. Proprietary fixed wireless protocols can’t connect with phones. CBRS, on 3.5 GHz, can. In order to achieve OnGo Certification, manufacturers are required to demonstrate that all submitted access points can interoperate with other ecosystem components. The 3.5 GHz Report & Order gave SAS Administrators a review process prior to certification. LTE-Advanced Pro (release 14) was approved by the 3GPP in October 2015, following LTE-Advanced (LTE-A) and LTE before it. The first official 5G standard (release 15) was completed in June 2018, but is not expected to be operational in the field until late 2019-2020. LTE Advanced Pro is now operational by some carriers (who erroneously call it “5G”) when it supports LAA on the unlicensed Wifi and shared 3.5 GHz bands. But you don’t need to be a carrier…or need dedicated spectrum…to use MuLTEfire – it just works anywhere you set it up…like WiFi. In a 3.5 GHz deployment, a small tower on a roof could broadcast a signal a mile or two and cost roughly $3,500 plus around $200 for the receiver inside customers’ homes. MIMO antennas may supply phone coverage to Waterfront Vancouver, a mile or more away from the Oregon side of the Columbia River. Low-cost beamforming will provide the cheapest way to match cellular coverage. Need image recognition with AI? Amazon’s AWS and Microsoft Azure using nVidia’s Volta chip or Google’s TensorFlow Cloud chips will deliver. AWS Facial Recognition can be trained to individual faces. Amazon’s Cloud Cam can detect, alert and stream your live feed at cloudcam.amazon.com. Facial recognition is being implemented by The Washington County Sheriff’s Office for suspect identification. Washington County built a database of at least 300,000 mugshot photos with Rekognition. It also built a mobile app for its deputies to quickly scan for a match against the county’s database from surveillence cameras. Let’s play with it and make it public, identifying birds, pets and other animals. Just to see what happens. Stores are already using this kind of cloud-based surveillance. Let’s bring it out in the open. We are an island. It’s easy to define the boundaries in a small pilot project. New York City’s Governors Island has become a testing ground to deploy 5G wireless. Florida is testing 3.5 GHz as well. Phones with support for 3.5GHz CBRS are expected later in 2019. The San Juan Islands established their own ISP, Rock Island Communications with both Fiber-to-the-Home (FTTH) and Fixed LTE Wireless. Swiftmile uses solar-powered eBike hubs that a rider can locate and rent a bike through the Swiftapp. No power grid necessary. The Genze electric bike comes equipped with a companion app that allows riders to track rides, monitor battery life, and run diagnostics. For free Wifi in their bike sharing hubs, Vancouver BC uses Tanaza cloud management to control and monitor hundreds of “free” WiFi hotspots. The Tanaza firmware is flashed onto commodity hotspots like Ubiquiti and Portland-based Open Mesh. It enables remote management of wireless settings, customized splash screens, authentication and operation from a simple dashboard. But Biketown Hubs currently don’t serve the entire city. If you park a Nike bike in Kenton, Hayden Island or PDX, you’ll be charged a $20 $10 fee for pickup. Dockless e-bikes like Limebike or Bird may broaden the service area, but may produce bike clutter on sidewalks since they can be left virtually anywhere. Fiber to the Bike/Carshare Hub could be the ultimate neighborhood solution. Wireless broadband everywhere…using shared spectrum. City-owned transportation fiber could provide the backhaul. Solar-enabled e-bike charging hubs may solve bike clutter AND lower bike charging overhead. In addition, they might be used as platforms for small cells, generating revenue for the city. Bikesharing hubs can be a platform for small cells. Biketown/Motivate and Jump/Genze use AT&T’s network while Verizon is used by SwiftMile. Using Multefire, competing carriers can share one CBRS community radio, eliminating clutter and expense for everyone. XG’s contract with Portland for small cells enables XG to organize and streamline the deployment processes. In Sacramento, XG will receive 35% of the revenue for all new leases for that service. Sacramento charges $150 per month per location for operators to deploy their small cells. So if Portland had 300 Bike Hubs covering the ENTIRE city, and they generated an average of $150 per month from small cells, that’s $45,000/month, or almost $500,000/year revenue. That could go a long way in paying for fiber to the bike hub (for a variety of carriers). Everyone benefits with less scooter clutter and less duplication of small cell “silos” on light poles (owned by one carrier). It may not replace light pole-mounted small cells, but small cells on Bike Hubs (using shared 3.5 GHz radios) might be a pretty good option. The partnership between Google’s Sidewalk Labs and Waterfront Toronto shows what a Smart Neighborhood writ large could deliver. Sidewalk Labs, in its RFP to Toronto, is North America’s largest example of a “smart city”. Sidewalk’s initial ideas – in a 220-page document – represents significant innovation in architecture and urban design. The Sidewalk Team comes from the ground-breaking Hudson Yards development in NYC. IoT everywhere. Intel inside. Smart City PDX promotes community-driven goals and values. Portland streetlights are being transformed into sensor-enabled networks using AT&T and GE‘s CityIQ system. The Traffic Safety Sensors are owned by the City but installed on utility (PGE) poles. But AT&T SmartCities, Verizon’s Thingspace, Sprint’s SmartCities and T-Mobile’s IoT plan infrastructure silos and not share radios with competitors. That will increase cost and clutter of 5G “small cells”. Radios like Ubimetro, the mobile industry’s first streetlight-powered small cell, are compatible with more than 300 million streetlights globally. AT&T’s 5G “evolution”, for example, uses License Assisted Access which means you MUST ALSO pay AT&T for cell service. Same deal with Verizon. Cellular providers will create duplicated 5G service nodes on adjoining light poles and cell towers. It’s wasteful. Expensive. Produces clutter. MuLTEfire’s small cells SHARE the radio for 5G connectivity. It’s more equitable and cost/effective. MuLTEfire makes LTE on the 3.5 GHz band like WiFi — you DON’T have to be a cellular subscriber. One “hotspot” can host different service providers. You can freely roam from shared LTE hotspots to your regular cellular carrier. It eliminates duplication. Encourages competition. Carriers don’t like MuLTEfire for one simple reason: they can’t tie subscribers to their old-timey cable or cellular networks. Too bad. Smart homes connect everything to the Internet so they can be accessed by a homeowner anywhere. Smart Neighborhoods might provide local traffic information, pet control, and communications delivered by community-run businesses or non-profits, not city-wide bureaucracies or distant corporations. Owners of public buildings such as hotels, malls and condominiums can benefit from these new LTE revenue streams. Dish Network uses NB-IOT in the 600 & 700 Mhz band. But smart cities don’t have to surrender their community lampposts to AT&T, T-Mobile, Sprint, Verizon, Comcast and Dish Networks, using old-timey cellular technology in closed-off and duplicated infrastructure silos. Comcast has 25 million broadband customers and wants to retain its 22.5 million TV subscribers by tying them together. “Wireless Fiber” delivers broadband faster and cheaper. CBRS replaces expensive last-mile fiber with inexpensive Gigabit LTE. Wireless fiber. Want cable-like services for $20-$30/month? Get a broadband package with streaming channels. DirecTV Now, SlingBox, Hulu, Sony Vue and YouTubeTV now deliver dozens of live streaming channels. Supplement it with Netflix and Amazon. More variety. Lower cost. Streaming television or on-demand. You can seamlessly roam to traditional cellular service outside the neighborhood “bubble” – similar to some WiFi services offered today. – Cheap wireless broadband. Like WiFi. Free spectrum. – Gigabit Wireless. Faster LTE, more spectrum, fewer caps. – Shared. One radio, with spectrum shared by different ISPs. – LTE Broadcast. Multicast marine radio or tv on your phone. – Voice over LTE. Cheaper, better voice. – Push-to-talk. For first responders. – Inexpensive Sensor connections. For new businesses. – Affordable bike, boat, or pet tracking. – Local News with targeted ads. – No truck roll. Lower operating costs. The FCC previously planned seven, 10 MHz census-tract PAL licenses (70 MHz total of the 150 MHz), but cellular operators wanted those licenses to extend over much larger areas. For paid (PAL) CBRS licenses (70 MHz available), the FCC is being pressured to dump the smaller Census Tracts coverage maps (below), for much larger coverage rights using Partial Economic Areas, that cellular operators want. General Electric (streetlights), ports like the Port of Portland, Wireless ISPs, consumers and others would like to use smaller Census Tracts (above) so they could deliver smaller, private TDD-LTE networks, rather than having to rely solely on wireless carriers’ licensed spectrum and services. The larger Partial Economic Areas (below), that carriers want, would entitle them to nearly blanket coverage, state-wide. Carriers could combine their licensed coverage with unlicensed coverage as well, making fewer channels available for “free” (the 80 MHz available for General Access). The Partial Economic Area for Oregon is dominated by Area #19 – which covers 3 million people. Consequently, all four carriers would likely grab all the shared (3.5 GHz) spectrum available in this vast area. GE expects to bid on census-tract licenses but NOT on larger tracks (like #19) where cellular monopolies plan to dominate. South Korea auctioned off ALL their 3.5 GHz spectrum with KT getting 100MHz and the smallest carrier, LG U+, with the remaining 80MHz. In Pai’s FCC, cellular operators may get what they want, which means carriers could cover most of Oregon’s population with four, 20 MHz licenses, taking out most ALL of the 70 MHZ (licensed) spectrum available, IN ADDITION to leaving consumers with next to NOTHING in the 80 MHz allotted for “free” (shared) use. Carriers will call it “5G service”, but it’s not. It’s a dis-service. When LTE is used over WiFi or shared 3.5 GHz bands, it can be more reliable than ordinary WiFi connections. The 3.5 GHz band uses professional-grade standards…and “free” or “shared” spectrum. It can work with millions of devices. It’s not a proprietary standard controlled by a group of vendors or carriers. The 3.5 GHz wireless standards are done. They’re ready to go. Licensed and shared. What carriers will likely use 3.5 GHz? AT&T, Verizon, T-Mobile, Sprint and Cable Operators are in. They’ll call it “5G” but it’s just LTE using 40 Mhz or so of the CBRS band in addition to their licensed cellular channels. For cellular operators this has the added benefit of using up most of the “free” spectrum. Carriers will likely use License Assisted Access (LAA) standard on the 3.5 GHz band because it WILL REQUIRE users to subscribe to their existing network. Carriers want to control access to “free” spectrum…not encourage it. License Assisted Access (LAA) and Multefire are the two main technologies that use LTE over “free” spectrum. Carrier-controlled LAA requires you to be a cellular subscriber. MulteFire does not. Multefire can be used by any small business or individual. No license required. Phones that use the MulteFire standard can also seamlessly roam to regular licensed cellular carriers when a user leaves the building or the local MulteFire service area. T-Mobile expects to deploy 25,000 small cells with LAA on light poles and inside building. Other carriers and Comcast may do the same. Does anybody really want duplicated wireless towers sprouting exclusive service silos from different neighborhood light poles? It’s expensive and wasteful. The solution is simple. Multefire radios using shared spectrum and radios. Lower CAPEX. Less clutter. With MuLTEfire, multiple cellular operators can buy separate licensed channels on 3.5 GHz and share ONE radio. Everybody wins. Cost is shared. Duplication eliminated. MulteFire works on unlicensed spectrum, like 5 GHz or 3.5 GHz. It doesn’t require the involvement of a cellular operator, but it allows licensed mobile operators to share the radio (and expense) if they desire. It’s a triple play: voice, Gigabit LTE and IoT. Comcast will test 3.5 GHz within a 4 mile (7km) radius, the company said in its FCC application. T-Mobile is also testing 3.5 GHz with a 4 mile radius of operation. Nokia launched their MulteFire small cell this year. The Ruckus Q910, a 3.5 GHz outdoor small cell, covers a city block. Multefire LTE radio networks can be established by any private businesses or neighborhood. It’s like a WiFi network…with better range, mobility, and reliability. That’s a fact. If Comcast and T-Mobile build competing 3.5 GHz systems (and it appears they may), they will be built on carrier-controlled LAA, which will require you to also subscribe to Comcast’s cable or have a T-Mobile plan. By contrast, a neighborhood Multefire system can break the monopoly on high speed internet, mobile data, and streaming video services. Twice the speed. Half the cost. Smart Neighborhoods don’t need Comcast. That’s the point. NarrowBand IOT (NB-IOT) uses a much smaller slice of cellular frequencies. Now it’s being extended into the unlicensed (900 MHz, 3.5 GHz and 5 GHz) bands, so communities, private businesses and individuals can utilize this inexpensive sensor connectivity service as well. Automatic Meter Readers for Electricity, Gas and Water, currently use a variety of frequencies. They may soon consolidate around NB-IOT. White Spaces and 3.5 GHz may provide a “neutral” host for AMR — reducing silos…enhancing competition. Right now the path forward is IoT with MulteFire 1.1 which uses either a 200 KHz or 1.4 MHz bandwidth. If a bike’s GPS tracker, for example, uses 1/10th the cellular spectrum it provides better range using MUCH less power. Small batteries can last a year. Narrow Band IOT can use licensed cellular frequencies or shared spectrum in the 3.5 GHz band or the unlicensed 900 MHz band (with much longer range and much less battery power). Narrowband IOT is more appropriate technology for many sensor monitoring and tracking applications since it provides longer battery life and lower cost than AT&T’s favored approach using CAT-M1. MulteFire lets communities control their own destiny. The 3.5 GHz Band, also called the Citizens Broadband Radio Service, has some 80 MHz available (free) to everyone, with 70 MHz is available to anyone who wants to buy a license. Look for devices that support Band 48, the 3550-3700 MHz (CBRS) band. Samsung and Apple already support CBRS. Meanwhile, Band 46 is TD-LTE operating in the 5150 – 5925 MHZ (WiFi) band. Yes, you’ll need to buy a new phone or get a mobile router which will pick up 3.5 GHz and deliver WiFi throughout your residence. They’ll be available later this year. Qualcomm’s X-20 modem, now embedded in the Snapdragon 845 processor, provides handset support for CBRS as does their newer X-24 chip. General Authorized Access (GAA) is free, but requires spectrum coordination for a small fee, resulting in higher reliability and less interference than uncontrolled WiFi. Priority Access (PAL) lets you buy a license for more dependability and control. The 3.5 GHz band uses LTE protocols, but radios are expected to be relatively cheap. Some phones are expected to have it this year. Massive MIMO antennas allow 10+ dynamic beams, each delivering 1 Gbps capacity. Fixed wireless providers typically only need 5% market share in a given market to be profitable, compared with up to 40% for a typical cable operator. Qualcomm’s X50 5G modem supports 5G on Sprint’s 2.5 GHz band, which is now being upgraded. The same TD-LTE/MIMO technology on 2.5GHz is the same Time Division LTE technology that will be used over the 3.5 GHz band. Rise Broadband is the country’s largest fixed wireless provider with around 200,000 customers using both 3.65 GHz and 2.5 GHz. Communities might offer wireless services themselves or let a third party provide it. 5G runs on the cloud. Cloud Native Computing runs both the cellular electronics and Federated’s frequency management using containerized nodes running on generic servers at Amazon’s AWS or Google’s datacenters. That eliminates electronics at the tower and cellular costs. The Ruckus cloud-base 3.5 GHz system is sold as a subscription service, bundled or a la carte. Neighborhood associations could put 1-3 CBRS radios on public infrastructure they own or control. Let’s say the transmitters are $5K a pop and premises equipment ranges from $0 (your phone) to a $200 hotspot. Commercial carriers could compete with each other for access to the “community radio” run by a neutral host. The radio is shared and nobody has their thumb on the scale. Private businesses or carriers could “lease” a subchannel, much like they do for WiFi connectivity at a stadium. Unhappy with your current ISP? Switch it…in seconds. Now THAT’S competition! Neighborhoods could contract out services and set service tiers. Provide local journalism with targeted advertising. Need a solution to the advertising decimation caused by Craig’s List or Facebook? There it is. Under your nose. Network slicing allows different service providers and enterprises, including small ones, to use a virtualized, on-demand ‘slice’ of the network. Fixed Wireless Access and Mobile Broad Band. Licensed and Unlicensed. Everyone benefits. It’s lower risk because CBRS radios are lower cost, similar to an enterprise WiFi hotspot. Infrastructure costs, such as the radio, backhaul and rooftop lease, can be split for mutual benefit. The neutral host (perhaps a non-profit) provides equitable management and access. Let’s say 3.5 Ghz can deliver 10-100 Mbps around a two mile radius, and we manage to only get 100 subscribers around each tower. Using Multifire 1.1 the 900 MHz unlicensed band can also be used, providing additional revenue with 10 mile range for boat, pet and vehicle tracking, far cheaper than anything cellular provides. Figure $2500/month total revenue per tower. Hayden Island might be (mostly) covered using only a couple of antennas. On the East end of the island, might be mounted on the roof of Columbia Crossing or Oxford Suites, while Westside coverage might be enabled by rooftop mounting on Home Depot or NW Rugs. Waterfront Vancouver has a potential of 5,000 broadband subscribers. If we pick up 500 of those at $20/month, that’s another $10,000/month. It’s one mile, line of sight from Vancouver to Hayden Island. Wouldn’t you pay $20/month for 100 Mbps unlimited service? Could Community Broadband pay for itself while dramatically lowering user costs? Yes. If we got just 10% penetration from a potential client base of 5000 people, paying an average of $20/month, that’s $10K/month or $120K/year. Streaming cable channels are available with a $35 package from Hulu, Dish, DirectTV or Youtube. Easily HALF the price of ANY option. 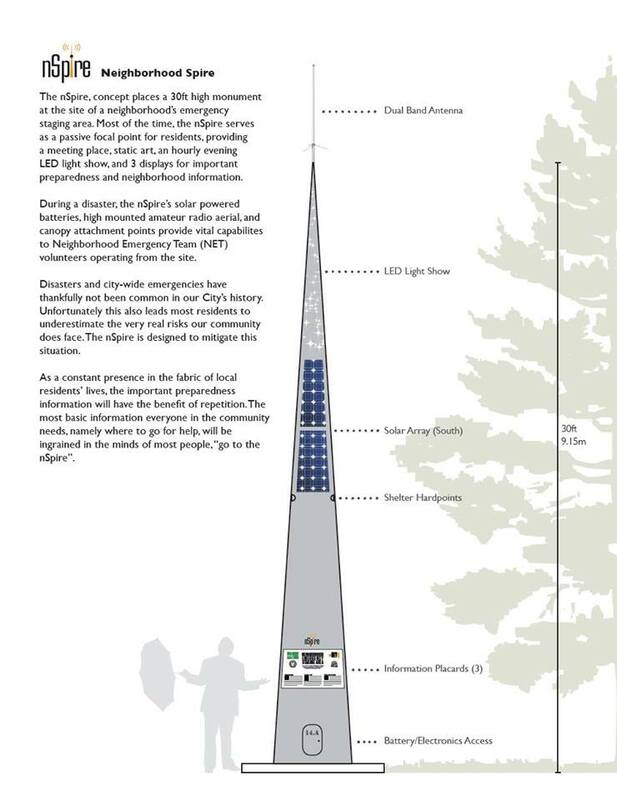 Each antenna would be fed with Gigabit fiber, perhaps $500/month. Can cellcos and cable operators compete with MultiFire on 3.5 GHz? Not likely. Not at $20/month. How do you get multi-gigabit backhaul to the tower? Microwave and fiber are typical solutions. A 28GHz microwave link can provide multi-gigabit speeds to the tower, but a 1 Gbps, DOCSIS 3.1 modem could be a more cost/effective option. DOCSIS 3.1 can enable speeds as high as 10 Gbit/s downstream and 2 Gbit/s upstream, while Full Duplex enables symmetrical speeds as high as 10 Gbit/s. But would Comcast or Century Link EVER provide cost/effective fiber/DOCSIS connections to a potential competitor? Probably not. They’ll jack the price up, just like fiber providers do today at cell towers. They charge competitors just below the cost of stringing new fiber, making service expensive. In addition, tower companies like Crown Castle charge up to $2,000 per month for access to their towers. It’s the main reason some 750 Communities Now Have Some Form of Community Broadband. Perhaps TriMet could utilize their fiber backbone along their Max tracks. It’s already strung and operating. The Portland Bureau of Transportation and Nike sponsor Biketown bike rental stations. But in Vancouver BC, free WiFi is available city-wide at all of their 600 bike share stations. Biketown might do the same. First expanding their bikeshare program into North Portland, then providing bike stations with free WiFi. Revenue-producing, inexpensive LTE broadband could also be provided for the community from these stations, perhaps operated by community non-profit. Public infrastructure could be traded for free bandwidth. Lowering costs. Benefiting everyone. Holographic Beam Forming, using passive electronically steered antennas, may enable cheaper and faster service. 1. Gigabit LTE without carriers is happening. It’s similar to WiFi. Free spectrum. 2. It will deliver 10X the speed of current LTE. 3. It will cost far less. Spectrum is free and radios are shared. It may make economic sense. Gigabit Wireless in Oregon should be investigated. Maybe it’s viable. Maybe it’s not. The Citizens Band Radio Service Alliance and Mobile World Congress have the latest news. What would you do with a $1/month tracking tag or truly unlimited 100 Mbps wireless for $20/month? Find out. Make it happen. Don’t wait for Smart Cities. The revolution of fast, cheap broadband starts at home. It will not be televised.